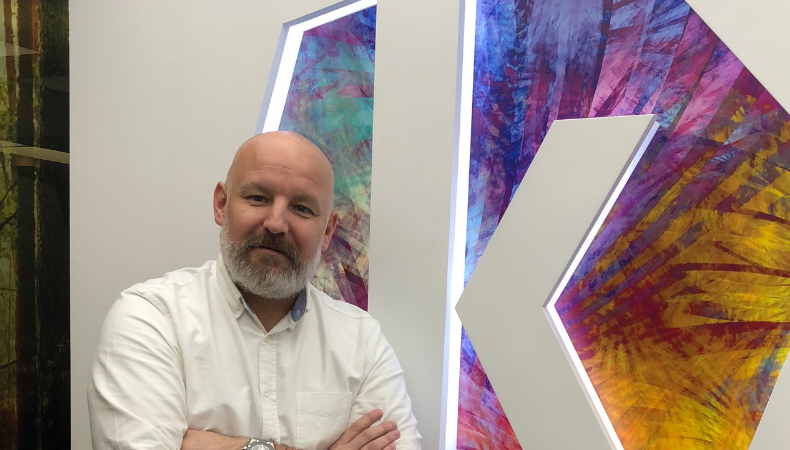 Digital textile printing technology provider Kornit Digital has appointed Andy Yarrow as president of its Asia-Pacific business, with a remit to accelerate the company’s growth across Asia. Yarrow joins Kornit after a 12-year spell with EFI, where he was most recently head of Asia-Pacific sales. He also spent time as EFI’s Fiery and Inkjet business in Asia-Pacific. In his new role, Yarrow will focus on growth efforts across the region, as well as optimising the team structure towards customer success and empowerment. Yarrow will also push for expansion in the customised design segment and look at other potential growth markets for Kornit, such as private labels, promotional, and other screen print sectors. Speaking to FESPA.com about his appointment, Yarrow said Kornit is an exciting company and the opportunity to move to a fast-growing business, with a focus on a specific market, was a huge draw. “I love how the company is innovating and leading the way, especially in the direct-to-garment space,” Yarrow said. “The introduction of at least three new products in 2019 will give the company a huge opportunity to grow. In terms of his own vision for Kornit and how he can push for further growth at the digital textile print innovator, Yarrow said that he will continue to focus on working distributors and dealers that share the company’s vision and want to grow with Kornit. “If we don’t have scale in terms of our distribution in Asia Pacific we won’t succeed,” he said. “We also have to build the best service and support organisation that we can do that our total customer experience is second to none. If our customers are happy, their systems are working to their optimum and producing amazing garments and prints then there is much more chance that they will buy their second, third, fourth systems. Focusing on the importance of Asia-Pacific to Kornit, Yarrow added: “We look at the entire Asia market with a long-term perspective and we look forward with great anticipation to the lifting of the veils in the Asia Pacific market. “Talking into specific numbers, by 2025, the global value of apparel and footwear sales originating outside the US and EU will go up to 55%, and the fastest growing e-commerce fashion market is China (14% CAGR vs. 9% in the US). FESPA Global Print Expo 2019 is Europe’s largest speciality print exhibition for screen and digital wide format print, textile printing and signage solutions. Visit Kornit Digital in hall B6 stand A13 at the Messe Munich between the 14-17 May 2019 and discover the available features. Please use promo code FESG902 to register for free.